America! It's never too early to start thinking about Independence Day promotional products and advertising specialties. With our vast knowledge of the promotional items industry, we are able to provide the best patriotic promo items at low prices. This super cool custom printed American flag tote is a great example of our patriotic promotional products sourcing capability. 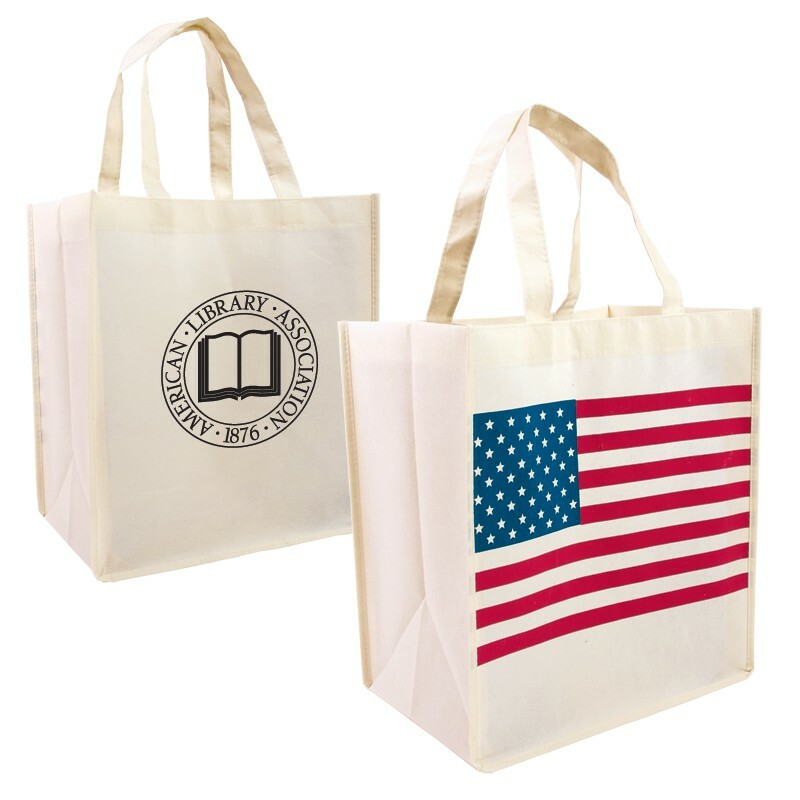 These totes have the American flag printed on one side, and your custom company logo printed in one color on the opposite side.